Suffolk Naturalist: Something for everyone! Well, some of you may have noticed a news story last week, or seen various tweets with the hashtag #stateofnature, no I didn't forget to hit the space bar. Yes, a report compiled by 25 of the UK's leading conservation and research organisations was released and I must say now, it isn't good. In fact it's shockingly depressive to read if you're a naturalist like myself, and it isn't getting better! I have read the report and I could re-list all the facts and figures here, but it would be better if you viewed the report for yourself. It's free to download, you can read it on your phone or iPad whilst on the train to work or during your lunch break, whatever you do PLEASE READ THIS REPORT! Honestly, everyone who lives in this country, including schools, should take the time to read this report and see what we have done and are doing to our wonderful wildlife that we as a nation love so dearly. It's the quiet place we like to walk through to collect our thoughts, or to take the kids to for a picnic. It's the woods where we walk the dog, the lake where you feed the birds or watch the sunset. It's the song of a lark on a clear sunny day, the flutter of a colourful butterfly on your walk through the park or the lovely fields of rapeseed that you cycle past on a Sunday jaunt. Whether town, city or the wilds of the countryside, it's all around you and it's disappearing rapidly, species are going extinct at an alarming rate and we can all do something about it. Why is the state of nature changing? "...hen harriers and other raptors are killed throughout the UK due to perceived conflicts with game hunting interests." Yet in the same week it has come to light that the government funded body Natural England has been sanctioning the destruction of buzzard nests and eggs to protect pheasant shoots! I must admit when I saw this I was shocked. I've been involved with NE in my work with bats and thought that they were for the protection for our environment. But it now seems that Mr Owen Patterson's money overules any conservation issue such as badgers and buzzards. You can read the article here. It is also important to note, that the frontline workers for NE, such as the surveyors and the like are NOT to blame for NE's dubious decisions. Many of them are honest individuals who have a keen interest in protecting nature are I believe many of them will also be shocked to hear of this sanctioning. Needless to say, Natural England was NOT one of those whole was involved in compiling the State of Nature report, thankfully. ...there are about 8000 species of parasitic wasp in Britain, but there are probably fewer than 10 people who could name more than 10% of them." Even if going out in the field is not your thing or maybe you don't have the mobility to do so, we still need people who can collate the information that is being collected by the volunteer field surveyors. The importance of the volunteers indoors and outdoors is invaluable to reports like these and to nature too. It is also noted that if they had to pay people to conduct these surveys it would have cost several million pounds and therefore would have never been completed. 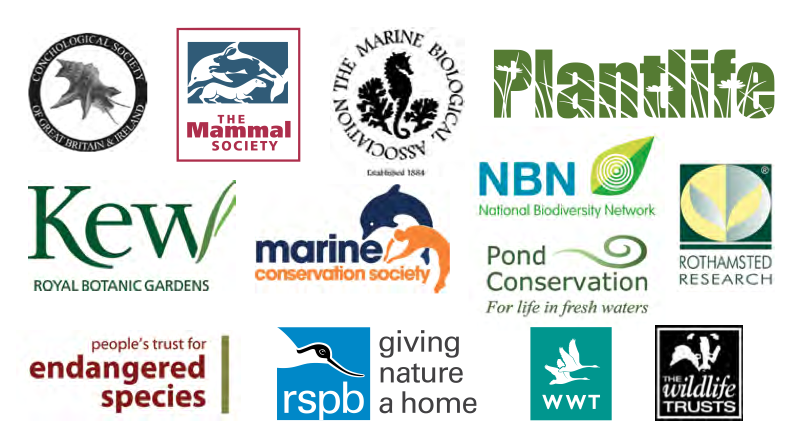 The report also states that there is much they can't report on because so much is unknown about so many species and that many more recorders are needed. One of those recorders could be YOU! You don't have to travel far and wide or buy expensive equipment, in most cases all you need is a pencil, notepad and maybe an ID book from your local library on the subject you're interested in, then with an ordinary umbrella and a stick, go to a tree in your back garden or local park. Upturn the umbrella and hold it beneath a branch, then give the branch a good shake or tap with your stick (be careful not to damage the tree) and just look what falls out into your umbrella. I'm sure you'll be surprised! Or if you mobility is impaired, contact your local group to see if you can help in another way, such as collating records or organising volunteers and transects. There really is something for everyone regardless of knowledge or ability. Someone at the Beeb has obviously seen my blog and pinched my idea and made it just a bit better by publishing all the Citizen Science projects currently on the go. You can see it here. 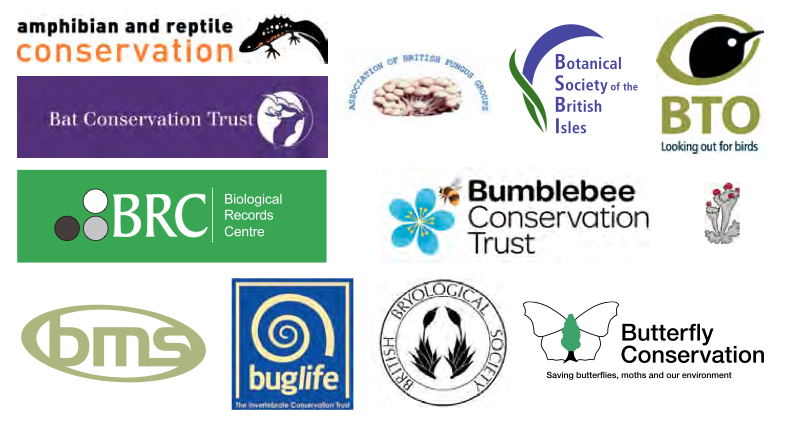 This weekend there is the national Bioblitz events being held nationwide. If you run or participate in running a youth club or after school group, maybe you could investigate your local wildlife patch and 'bioblitz' it. Find out if an area has ever been surveyed before, ask your local Biological Recording Centre if they have any records for the area you want to survey (it's free as long as you don't use the information for commercial use). It might be interesting to find out what is there, especially if they have old records for a site. Who knows, you might get into studying a little known species of plant, animal or mushroom and find a whole new species!!! Wouldn't be the first time it's happened. If this all seems a bit too much and you're not really sure if you want to get involved, then can I suggest that you just try a little project of your own, with no commitments to anyone. You don't even have to tell anyone what you did or what you found, just, for your own curiosity, give it a go. You never know what you'll find or how it might inspire you. The report states that about 60% of UK nature is in decline. That's a lot of wildlife that is screaming for our help and it raises so many issues about how we interact with nature. One major issue, the huge elephant in the small room, as I like to call it will be addressed in my next blogpost. So please, for the sake of our nature, please get involved. Because if we stand by and do nothing, WE WILL LOSE IT ALL!